Wow! 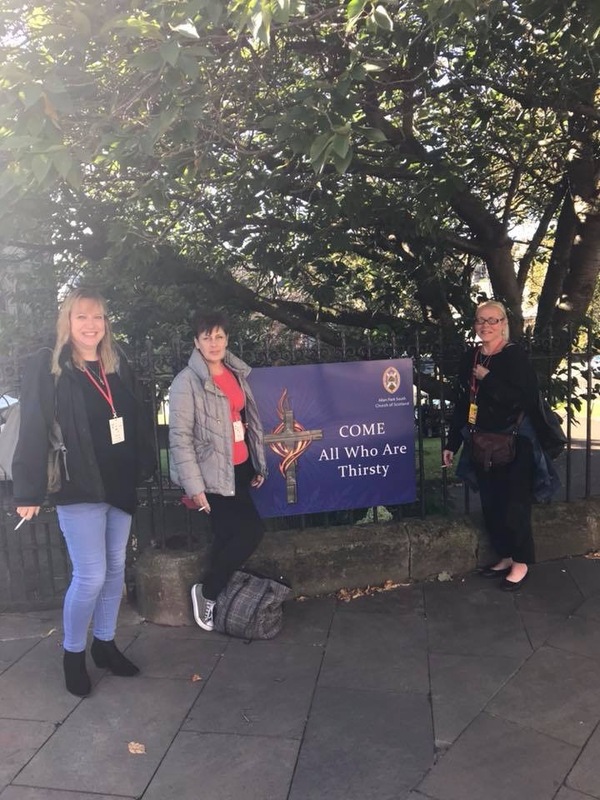 I can’t believe two weeks have gone by and I am only getting around to share my #BloodyScotland experience with you now. 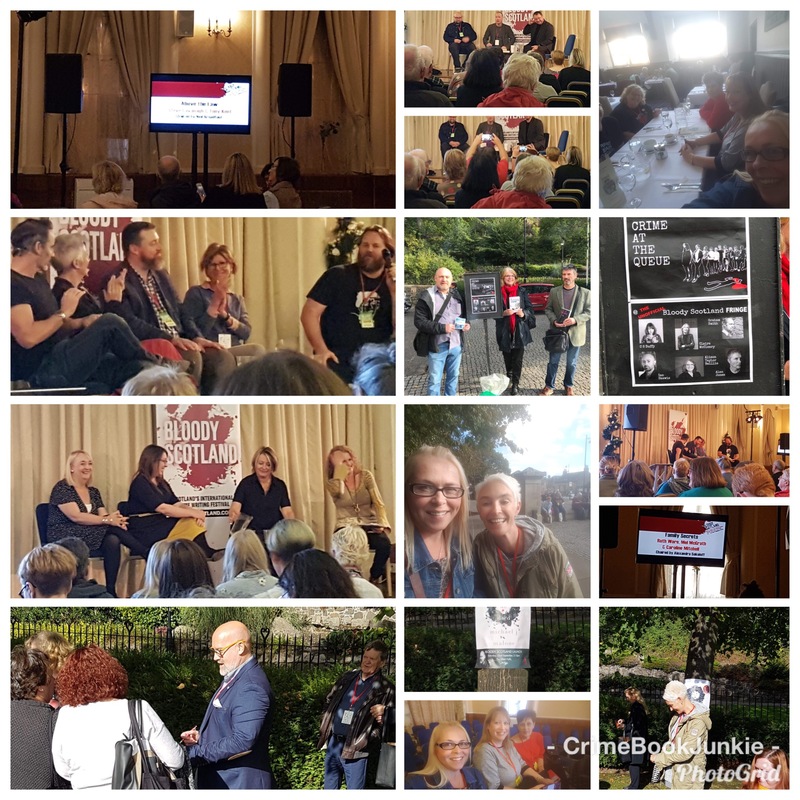 I could say it was because it has taken so long to come down from the high that was #BloodyScotland2018 – that would be partially true. But life has just been a whirlwind as of late and I have only had time now to catch my breath! 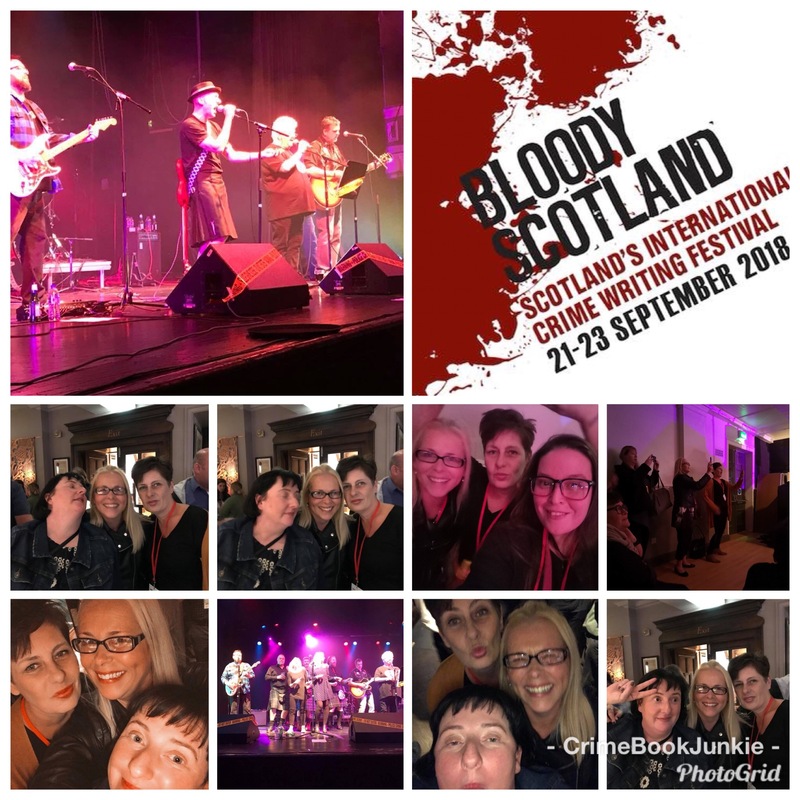 There have been some amazing round-ups of this years Blood Scotland crime festival, you only have to look on their Facebook page or Twitter to see some of these. Check out LIVE AND DEADLY or CHAPTER IN MY LIFE for some more information. For me, a picture speaks a thousand words and I have to say that I am already looking forward (and BOOKED) for 2019! One of the highlights for the past two years, for me anyway, has been the torchlight procession which follows the announcement/ceremony for the McIlvanney Prize – this year, LIAM MCILVANNEY won the award for his book: THE QUAKER! Read more about this in Bloody Scotland’s newsletter announcement HERE. I was also thrilled when I learned that Alison James was long-listed for this award – working for Bookouture, this really made me smile!! Well done, Alison! After some drinks at The Golden Lion and seeing the FANTABULOUS Tracy Mearns (I LOVE THIS LADY!!) Friday night was filled with shenanigans as my #Twinnie (Sharon – Chapter in my Life ), #BBFF (Sarah – By the Letter Book Reviews) and I went to see the #FunLovinCrimeWriters perform and what an AMAZING show it was. I have to say, I did love Luca Veste’s version of Britney Spears! If you have not seen this band live, it is a MUST! I was dancing and singing the whole time with #bookbuddies. A brilliant night! Hangover free – WOOHOO! Saturday was busy with panels, a lunch with some amazing bloggers (Mary, Gordon, Sharon and Sarah – unfortunately some were missing – Jen, Kelly, Kaisha, to name a few) but a good time was had catching up. I attended some fantastic panels- ABOVE THE LAW with Steve Cavanagh, Tony Kent and Neil Broadfoot, FAMILY SECRETS with Caroline Mitchell, Ruth Ware, Mel McGrath and Alexandra Sokoloff and THE KIWIS ARE COMING with Fiona Sussman, Paul Cleave, Liam McIlvanney, Denise Mina and the ever-so-awesome, Craig Sisterson where discussions were interesting but also very funny! This is what I love about Bloody Scotland. The venues are more intimate then some of the other crime festivals and you really feel a part of everything. Although Crime at the Queue, thought up by the brilliant Alan Jones, did not go quite as planned, it was fantastic to see Graham Smith, Alan Jones, Ian Skewis, CS Duffy, Alison Baillie and Claire McCleary ready and willing to share a snippet from their books! I also loved Michael J Malone’s AFTER HE DIED pop up event – I bought a signed copy for a #giveaway I am planning in the future! Yaaaaas!! The highlight of the day might have been finally meeting CJ TUDOR! I have been stalking (ahem) her online and at Harrogate but never got up the nerve to say hello until now – she is so incredibly nice! I am thrilled I got to meet her and get a signed copy of The Taking of Annie Thorne! OMFG- BOOM!!! Saturday night was filled with GIN, laughter and an amazing time at The Golden Lion. I wish I could name everyone I saw and spoke to – but I don’t want to miss anyone out as they are all as equally amazing as each other. I will say, that seeing WILL DEAN again was fantastic! I met him for the first time at Harrogate and he is just so AWESOME! We found that if we said his name THREE times, he just seemed to appear! Sadly, this has not been the case since comming home! It must be a Bloody Scotland thing! Ha ha ha. The smile on my face in all these pics should be enough to see how much I enjoyed myself! Sunday was a short day for me and Sarah as we had to get back home – but I thoroughly enjoyed PITCH PERFECT and seeing all those brave souls pitch their books to some of the most influential peeps in crime fiction for 3 mins. They were all BRILLIANT! Sums it all up really…. 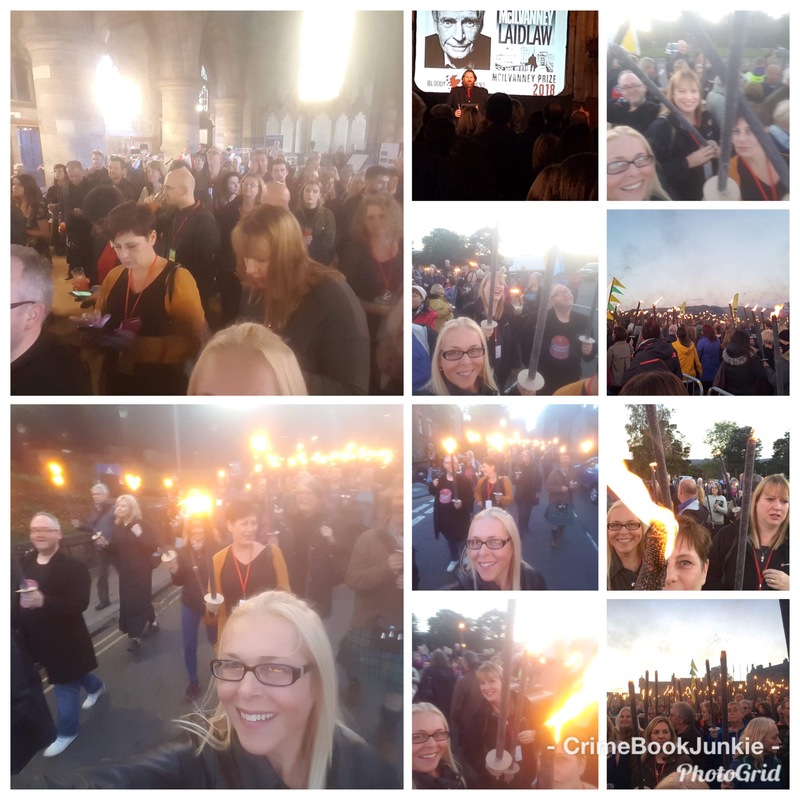 So there you have it – my time at Bloody Scotland 2018 in a few snapshots and words – but it is an experience I won’t forget. If you haven’t been to this crime festival, I highly recommend you check it out in 2019! I booked before I even left this year. I have to give a HUGE shout-out to the organisers and volunteers who once again made this a fantastic, fun-filled, interesting event. I don’t know how you do it, but you all ROCK! Next year I will be attending Bloody Scotland as an author… a published author – I may get up the nerve to apply for Crime in the Spotlight so #WatchThisSpace. 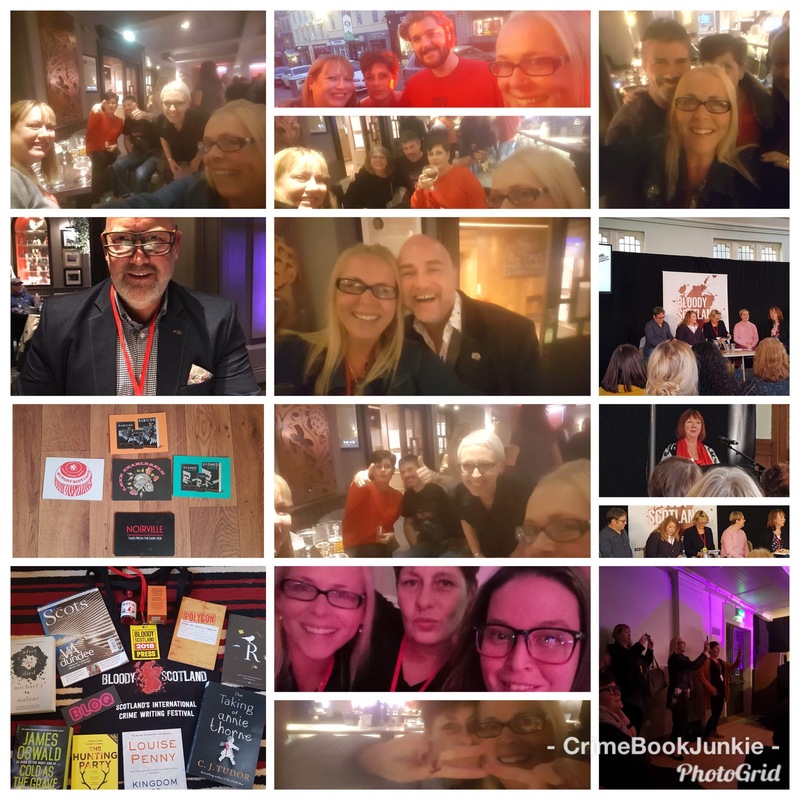 This entry was posted in Events, Partners In Crime and tagged #BloodyScotland2018, #Crime, #CrimeFestival, #CrimeFiction, #Events, #Festivals by crimebookjunkie. Bookmark the permalink. Thanks and congrats! I enjoyed all the pitches and just pleased I didn’t have to do it. This festival is probably my favourite over all. Can’t wait to go in 2019! Good luck with your book! Great review of a great weekend! The repartee between Paul Cleave and Dame Denise Mina was a highlight for me. Well, that, and winning Pitch Perfect… Glad you enjoyed our agonies!